This is a four day course for people wanting to qualify as a Forest School Assistant, who would be supporting a Forest School Leader. The course requires coursework to be completed in your own time and participation in 3 Forest School sessions. Suitable for anyone with a Level 1 Award in Outdoor Learning and/or interest in and experience of working with people in the natural environment, and who has an Agored Cymru Level 3 Leader to assist. 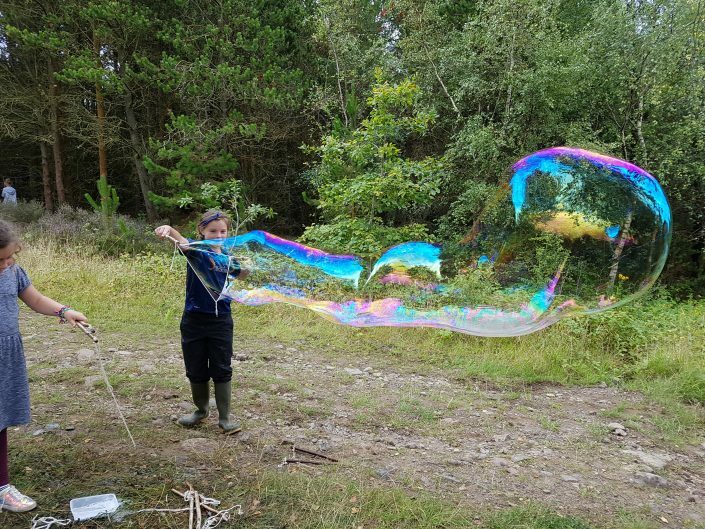 Units studied: Supporting Learning, Play and Development in the Outdoors; Sustainable Use of Resources; Outdoor Practical Skills; Assisting at Forest School. Understanding of theories of learning, play and development, and how they can be impacted by behaviour and supported by outdoor learning. Ability to carry out a range of practical tasks, for example using hand tools, tying knots, building shelters, and lighting campfires. PLEASE NOTE : individuals must have link to a Forest School Leader in order to fulfill training requirements of assisting in 3 sessions. 4 days spread over 3 months, some self directed study plus the completion of coursework and participation in 3 Forest School sessions.